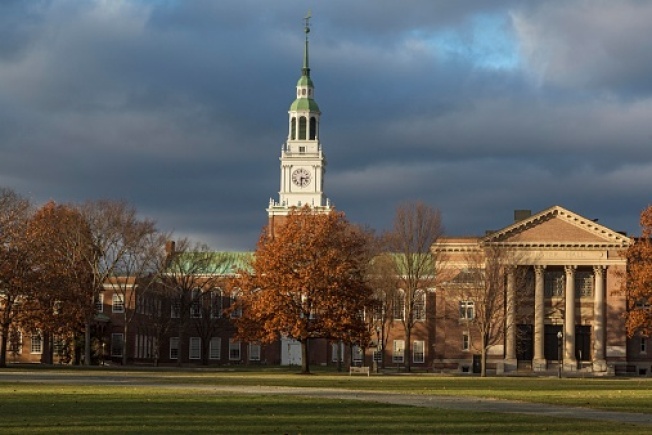 The New Hampshire Supreme Court says members of a former Dartmouth College fraternity aren't allowed to live in their house after the college banned the frat from campus. The Hanover zoning board revoked the $1.4 million Alpha Delta house's status as a student residence when the fraternity was de-recognized for burning brands into the skin of new members in 2015. Zoning rules require that such residences operate "in conjunction with'' an institution, such as the college. Alpha Delta argued it should be considered "grandfathered'' under an older zoning ordinance, but the court on Tuesday rejected that argument. Alpha Delta had been a fraternity at Dartmouth since the 1840s, and since 1920 has housed 18-22 students. It partially served as the inspiration for the 1978 movie "Animal House."